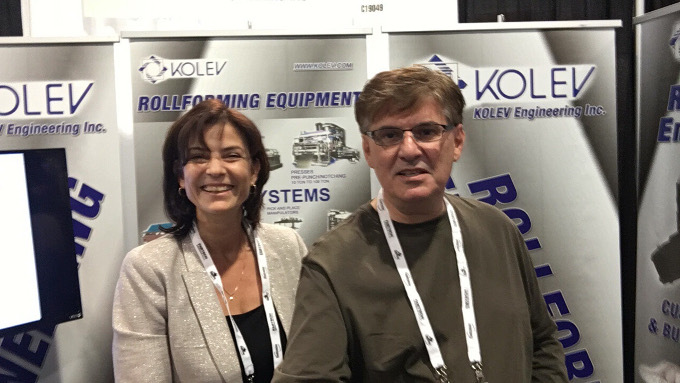 2016 FABTECH at Las Vegas Convention Center - KOLEV Engineering Inc. 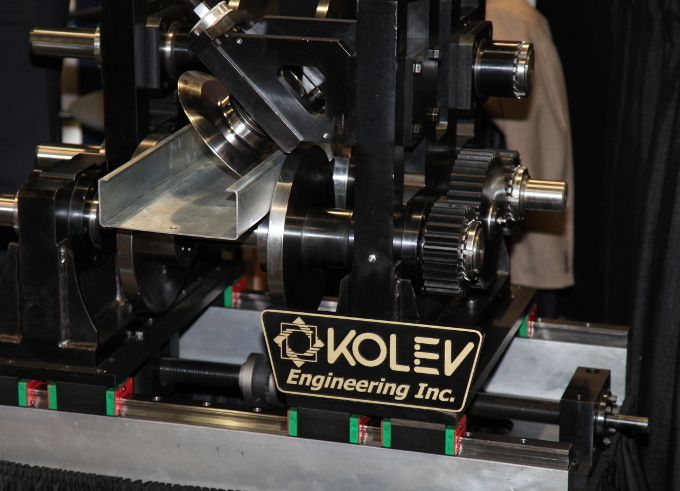 It is a Showtime for Kolev Engineering Inc.
Las Vegas, NV, USA. 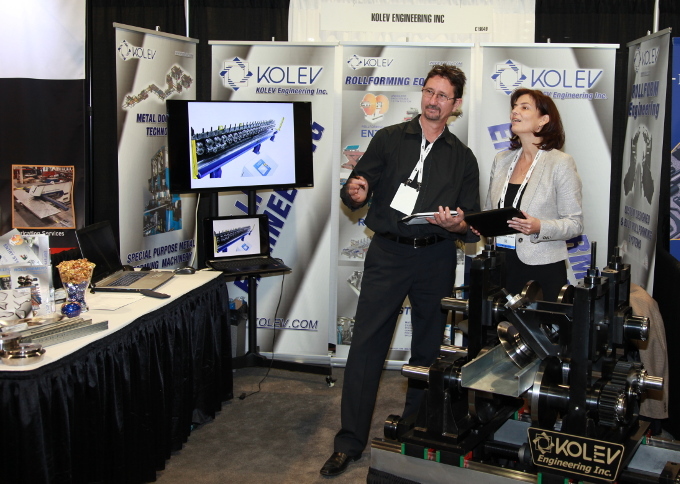 It is showtime at Fabtech 2016 Las Vegas and KOLEV Engineering Inc. is exhibiting its know-how and experience in making top quality custom roll forming systems. We have shown in brochures and on displays our latest custom roll forming systems. Over the last 20 years, KOLEV Eng. has developed a full stack, A-Z expertise, in designing and manufacturing custom roll forming systems. We do the design, engineering, and manufacturing of varies roll forming machines, rolls, entry and exit systems. At this year Fabtech trade show we have noticed quite an emphasis on automation in almost all segments of the metal fab industry. Making top quality roll forming systems by implementing maximum possible automation has been an important part of our designing and engineering process. KOLEV Eng. and its experts are ready to answer questions and provide a free consultation to anyone planning to start a roll forming project or considering to increase its productivity with roll forming equipment. Visit us, KOLEV Eng. at Las Vegas Convention Center booth C19049.